March 12, 2017 in Tips for Students: Higher Level Apprenticeships- are they right for you? 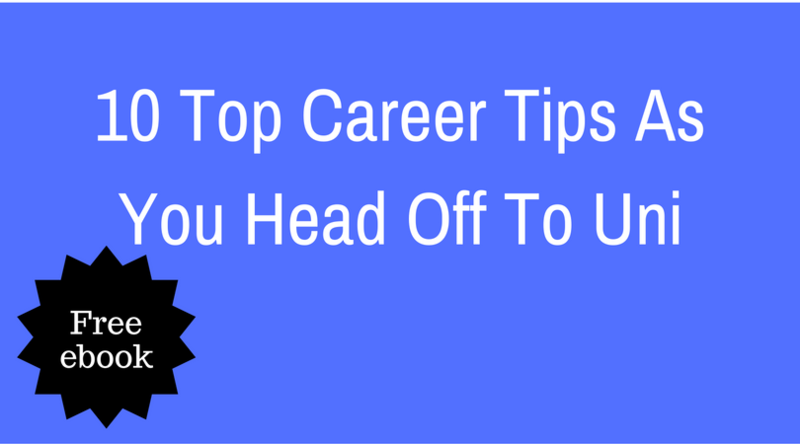 February 9, 2016 in Tips for Students: What’s the worst piece of career advice you’re likely to receive? We love James Citrin’s article, ‘Interviewing to live, living to interview’, because it shows that the early careers of even the brightest stars don’t always follow a stellar trajectory. Citrin was always destined for a great career: he attended one of the best American colleges, got amazing grades, had tons of impressive extra-curricular accolades and to-die-for work experience. When looking for a job after college, he was totally clued up about how to interview well and actually enjoyed doing them. What could possibly go wrong?! His humorous account of how he fatefully fell over at the end of a final interview is both reassuring and informative. As he explains, when things don’t go to plan, there may be a good reason why. Citrin’s early career includes an impressive list of companies (Goldman Sachs, McKinsey, Reader’s Digest and, finally, Spencer Stuart) and demonstrates a common, but little talked-about, phenomena – that a graduate’s first choice of career probably won’t be the right one. That’s not to say that your first job will be a waste of time or should be considered a mistake. But most of us who are at a later stage in our career, will recognise that where we started out is not where we ended up and what we learnt along the winding way was invaluable in helping us finally find the ‘right’ career. So rather than endlessly procrastinating about the ‘perfect’ career at an early age, the important point for a new graduate is to get a good ‘starter’ job. By that we mean one with a respected company where you will gain some valuable skills and get some good training. With that under your belt, you will always have options for the future. As Citrin’s article explains, it may take time and a few moves to find the perfect career and what’s right for you may be as much about the culture of the Company, as it is about the nature of the job. Whilst Citrin’s world may sound a touch ‘gladiatorial’ (his word, not ours), his article is a great read for those on the cusp of entering the job market. There are some informative anecdotes about his own early interviews and some valuable advice on how to approach interviews today. His tales of his own job swaps should give heart to anyone at the start of their career and, as his story demonstrates, it’s not where you start, but where you end up that matters. Higher Level Apprenticeships- are they right for you? What’s the worst piece of career advice you’re likely to receive?